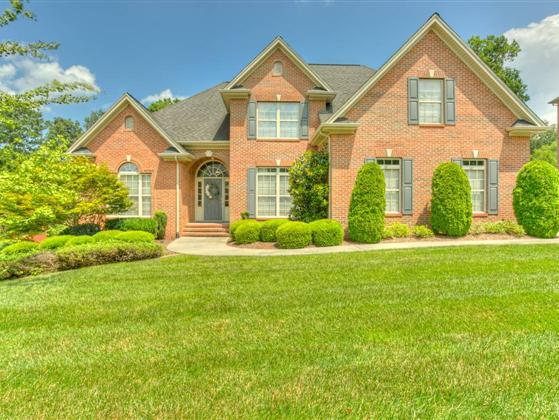 f You Want PERFECT – Then You Want 863 Ivy Manor Ct! Without a Doubt, This Home is Flawless! From the Perfectly Manicured Landscaping, to the Never Lived-In Look of the Interior, this Home Truly Is Unbelievably 8 Years NEW! 3 Sides Brick Exterior, Almost ½ Acre Lot, Private Back Yard, 2 Back Covered Porches, 4 Garage Stalls, and Weed-Free Lawn Make the Exterior Most Appealing! But, Inside you are Greeted by Hardwood Floors, 9’ Ceilings on the Main Floor, Beautiful and Tasteful Moldings and Finishes, Up-to-date Light Fixtures, Semi-Open Floor Plan, Large Great Room with Fireplace and Vaulted Ceiling, Large Kitchen with Stainless Appliances including a Double Oven. The Large Master is on the Main Floor with a Wonderful Sitting Area, Large Master Bath with Huge Walk-In Closet, and More...Jetted Tub, Separate Shower and Double Vanities. The Formal Dining Room has a Tray Ceiling and Wainscoting for added Charm.